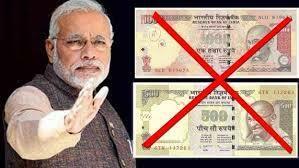 By now, readers are familiar with the decision by Indian Prime Minister Modi to make the most popular bank notes illegal. The equivalent of a $20 bill and $10 bill (1,000 Rupees and 500 Rupees) were declared by the Indian government to be no longer legal tender. This set off a wave of panic in India with bank notes being exchanged for less than face value and gold selling for $500 per ounce above the world price. Banks were closed, ATMs had to be reprogrammed, businesses shut down, and money riots broke out in some places. In other words, Modi does not just want to attack the black market, he wants to move India to a 100% cashless society so that government can control every aspect of citizens’ lives by its chokehold on the digital banking system. India is among the first to be so explicit about their plans. It will not be the last.